Nor had I. 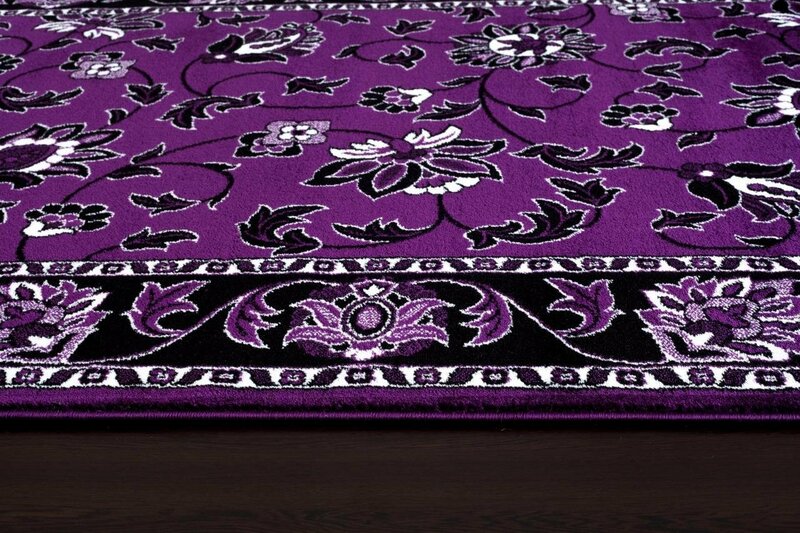 With oriental rugs, black is often paired with beige and "purple" (usually a muted plum) is often paired with gold. 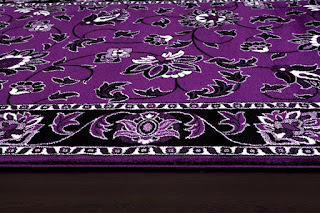 I never expected to find a traditional style rug with only black, white, and purple. That's a lovely rug, very unusual. I hyperventilated a bit-- I have been looking for a rug such as this and you have provided me. You are fantastic! Nothing beats purple and black, and no one beats your nose for finding just the right items that are so! This rug rocks, your closet rocks, YOU rock! Aw! :) It was totally luck in this case. My search for a grey rug brought up one that was also available in purple. I told The Boyfriend that I would die without this rug. I'm gonna measure the foyer as soon as I post this. :D I wish it was available in more sizes. I'd love to put a runner in my hall. Oh my it's great!!! I love a reddish purple and oriental rugs! Wowwww what an awesome find. That really completes the look... And you've got clothes that exact shade!